Opera for All is a partnership between Garsington Opera, Magna Vitae and the Coastal Communities Alliance, the centre-piece of which is a series of large-screen performances of films of Garsington Opera's productions provided in Coastal Communities where cultural provision is relatively limited. But the collaboration is far more than an opera company simply setting up shop, projecting a film and going away again. The project is designed to encourage a sense of cultural engagement, and in each area where the films are being shown there is a large programme of community and schools activities surrounding the main performance. As such Opera for All works with local cultural organisations and Music Hubs to develop these activities, and part of the project is the intention to create a more permanent cultural network in these areas which would facilitate future projects. This year Opera for All is working in Skegness, Ramsgate, Grimsby and Bridgewater / Burnham on Sea. Bridgewater / Burnham on Sea is new, whilst the other three were all part of last year's projects and the success there was such that Opera for All was invited back again this year. In each area there is a similar range of activities and workshops, but these have been developed to take account of themes important in that area. The whole project began in 2014, with a preliminary collaboration between East Lindsey Council and Garsington Opera. The leadership team at the council were interested in having high quality cultural provision as part of the annual SO Festival in Skegness, so a film of one of Garsington Opera's productions was shown, free, on the beach at Skegness. The performance had a range of workshops and community involvement associated with it, including a small scale community opera. It was found that this cultural investment in the SO Festival had huge benefits in the area. So Garsington Opera and Magnae Vitae (the charitable trust which provides a range of cultural, leisure and health related facilities, & which developed out of East Lindsey Council) decided to take the project further and they have Arts Council Funding for three years, aiming to extend the project to other coastal areas which have similar issues. From the outset the idea was to support the cultural provision in areas where it was lacking. Chatting to Hannah Elder of Opera for All about the project, she explained that initially it was rather like cold calling with the project team working in areas where they had little detailed knowledge. 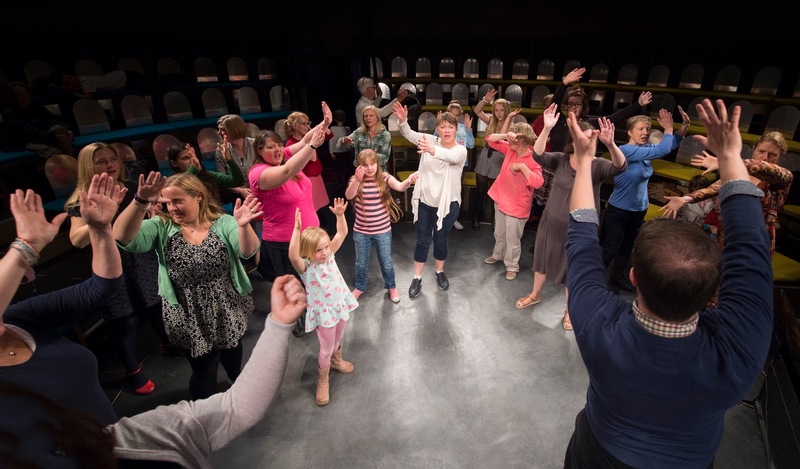 But after the first year, by working with local organisations and monitoring the effect of the first projects, Opera for All has developed a nuanced approach which responds to the different needs of the areas to ensure that there is some sort of legacy. 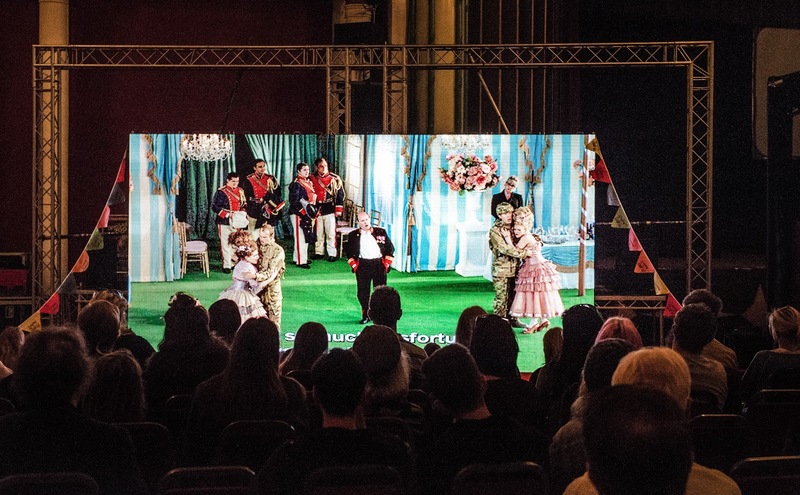 Last year, in Ramsgate the opera film was shown indoors and a range of activities was provided for families during the screening, with drop in activities, singing workshops and such like, without the compulsion that families had to stay for the entire screening. The project is now rolling this relaxed approach out across other areas. This year in Ramsgate the film is being shown in the summer, on the opening day of the Ramsgate Festival with pop-up performances taking place in the proceeding week. 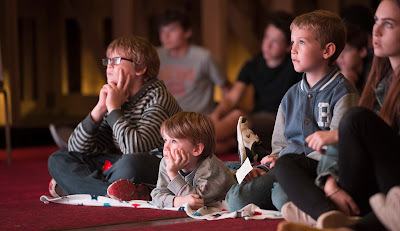 But a film of an opera lasting three hours is difficult for families, so there will be afternoon performances where excerpts from the film are combined with live performance and presentation of the story, making the event more accessible to families. They will be trying to replicated this in Grimsby where the film is being shown in the Autumn at the Central Hall. But this is also being used as a platform for schools' engagement in the area using Garsington Opera artists to raise expectations. One of the reasons for using the Central Hall (rather than the Grimsby Auditorium) is that the primary schools in the project are all close enough for the children to walk there. 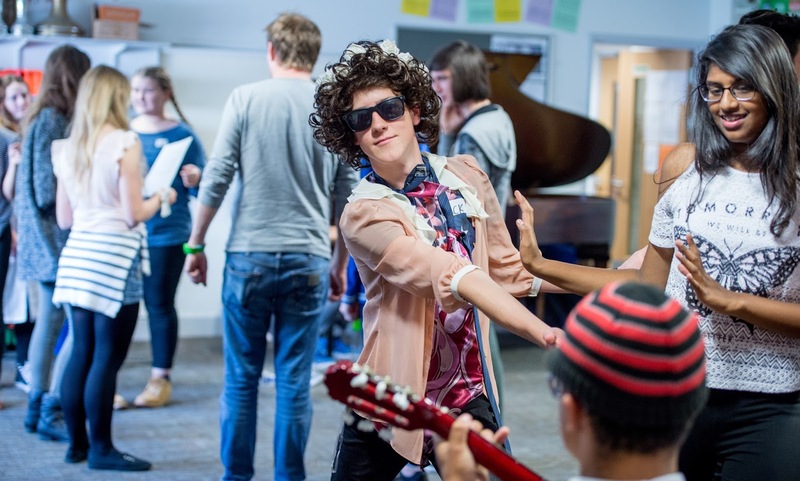 Secondary schools are also involved, and over two weeks young people from the secondary schools will be creating their own work, which will then be performed to the primary school children. These younger children will also have their own, less intensive workshops. In Ramsgate this schools provision is being provided during the Autumn, following the Summer screening of the film, and by linking up with the Looping the Loop Festival (a community festival in Margate, Broadstairs and Ramsgate) they will give the schools a performance platform for the results of the workshops. One of the longer term benefits of the project is that they are involved with Kent Music Hub in the development of the new secondary schools music strategy in the area, a reflection of Opera for All's desire to be part of the ecology of cultural provision in the areas where they are involved. They are very keen to ensure that their activities reflect the local needs, and are complementary to other cultural activities in the areas. In Bridgewater/Burnham on Sea the 2016 project is the first one on the area, and there has already been extraordinary enthusiasm. The presence of Opera for All has been the catalyst for the creation of a cultural hub to link the disparate collection of arts organisations involved, and this hub will be the focus for future arts engagement in the area. The screening will be in the Apex Leisure and Wildlife Park at Burnham-on-Sea at the end of August. Before the evening screening there will be performances from local arts groups. For a week before the performance there will be summer skills workshops for young people (singing, theatre craft, introducing opera for the first time) and community workshops for adults, plus a professional development day for teachers. Again, there will be an additional programme of workshops in schools in the Autumn. The Macmillan Theatre in Bridgwater and the Bridgwater Arts Centre are both involved in the project, and they will be screening other operas during the rest of the year. Bridgwater Arts Centre is one of the first arts centres funded by the Arts Council, and has been in existence since 1946. A fact which is being celebrated with a concert on 15 October 2016, when Opera for All artists will be involved and they hope to have schools involvement too. The film of Garsington Opera's performance is also offered to other community groups as a resource. Last year there was a screening in Louth in Lincolnshire, and this year there are screenings at Buckingham Fringe Festival and the Marlow Town Festival. Opera for All is now looking to appoint an officer to oversee the cultural network which they are creating. The hope is that Opera for All will be a catalyst for a wider cultural network so that people in the coastal communities can share issues and successes. That, by laying the groundwork, there will be an infrastructure so that other organisations can build on this in the future. Saturday 23 July - Eugene Onegin - Open air on Ramsgate beach (part of the Ramsgate Arts Festival). There is a family screening in the afternoon with the full film in the evening.